Classic margaritas are a favorite of most, but there's always room for experimentation. This summer, don't be afraid to shake things up and venture beyond the time-tested flavors of lime, tequila, triple sec and salt. Who knows? The next concoction you whip up with your Margaritaville® Frozen Concoction Maker® could be the best drink you make all summer. Sweet, spicy and perfect for summer, this irresistible combo is sure to delight even the most traditional margarita drinkers. Fill the ice reservoir on your Margaritaville® Frozen Concoction Maker®. Add the tequila, lime juice, watermelon puree and jalapeño pieces to the glass jar. While your drinks are being concocted, dip the rims of your glasses in lime juice, salt and chili powder. Pour the frozen concoctions, garnish with fresh watermelon and enjoy. With your Margaritaville® Frozen Concoction Maker®, the flavor-filled possibilities are endless. Cucumbers add a refreshing and unexpectedly enticing twist to the classic margarita. Once your guests get a taste of this unique concoction, don't be surprised if they come back for seconds - or thirds. Once your ice reservoir is filled, pour the liquid ingredients and peeled cucumber cubes into the glass jar on your Margaritaville® Frozen Concoction Maker®. 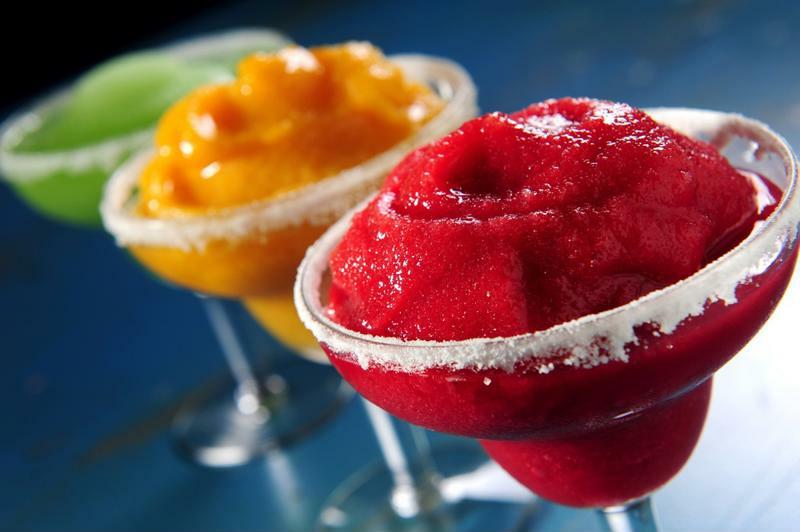 Concoct your beverages, and pour into margarita glasses. Garnish with fresh cucumber slices and cilantro to taste. Don't write off this indulgent frozen concoction until you've had the chance to try it. Sweet, tangy and oh-so-unexpectedly delicious, the peanut butter cup margarita could become your new go-to. Replenish the ice reservoir on your Margaritaville® Frozen Concoction Maker® and fill the glass jar with the tequila, schnapps, milk, ice cream and creamy peanut butter. While your frozen drinks are being concocted, dip the rims of your glasses into peanut butter. Pour the concoctions into the glasses, top with chocolate sauce drizzles, serve and enjoy.